When a patients walks into my office my first goal is to provide you the evaluation and diagnosis possible, Diagnosis is not a skill reserved solely for physicians; it is for the professionally trained licensed and registered electrologist, as well. Diagnosis is not merely a word to the professional electrologist, but one of our most valuable skills. Proper diagnosis requires training, education, patience, and practical expertise and means the difference between an average electrologist and a professional. Documenting a patient's overall appearance and skin condition is a prerequisite foundation to evaluate your patient’s health before you start treatment. Today's electrologist must learn new ideas, methods, and techniques in our profession, which will ultimately benefit the patient, the profession and your professional pride and reputation. When you complete a thorough case history, you do not limit yourself and your patient's progress. For Electrologists to neglect patients case history is unprofessional and jeopardizes your patient's health and welfare and limits your ability to best treat your patient. A thorough case history card documents medications in use and medical conditions which, left unrecorded, could leave you unaware of medical conditions that might result in unforeseen complications. As you go along through this case history everything that you need to be aware of in your patient's condition will present itself. After completing a typical case history with data such as name, address, telephone, proceed with your patient's history from date of birth, marital status, which referred your patient, and what advertising caught his or her eye. Note ** Diagnostic Case History Cards Are Held In The Strictest Confidentiality. These aspects of the history are the most important. You will find a number of patients with an unwanted fall into this category of disorder. You have much to gain from this knowledge. Heredity and medical histories play a very large role in unwanted hair. 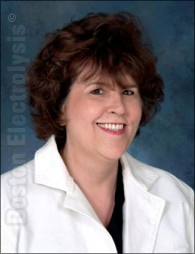 The fact that some hair problems are hereditary and endocrine-induced conditions present some problems, which can be prevented with a The Electrologists 5 Star Diagnostic Case History. For example, your client may have a sickness or seizure disorder or epilepsy. Knowing this, you are alerted to the possibility of a seizure. Further, Dilantin is one of the standard medications taken by epileptics. Dilantin can cause excessive body and facial hair growth in women and men. Yet it is very safe to treat epileptic patients as long as they are taking anti-convulsant medications. You, the electrologist, must make the epileptic patient aware that this medication can cause a significant unwanted facial and body hair in the woman. Presently there are other and so many medications prescribed for epileptic patients that do not cause unwanted hair problem. By informing your patient of other options, you may be able to eliminate the cause of the hair problem, by having the patient contact their neurologist to change to another medication that does not stimulate new hair growth like Dilantin. This act alone eliminates the root cause of the unwanted hair growth while expediting their electrolysis treatments, which in turn results in the patient clearing up much more rapidly to achieve permanent hair removal. Possessing knowledge of medications that cause unwanted hair problem is essential to attain the best possible outcome. The 5 Star Electrologists diagnostic case history and evaluation offers you more than protection from contagion, it also allows you to better understand your patient's medical condition and needs. This improves your professional image and standing in the eyes of your patient. Electrolysis treatments, methods and techniques practically applied will eliminate unwanted excessive hair growth and with exceptions, control the more severe endocrine and genetic hair problems. These techniques improve your professional credibility. They might seem new to you, and they are probably different and more comprehensive than what you were taught in your original training. The end result is better protection for you and your patient, and soon it should not take you more than fifteen or twenty minutes to complete a thorough history. Professional expertise and knowledge open the doors to success and protect you and your patient's health and improve the possibility of clearing up sooner. As we proceed, we shall see how these many aspects are intertwined through the accumulation of facts and hands-on knowledge to benefit your patient. Diabetic patients should be treated only with their doctor's permission. Never treat a diabetic patient without a treating physician's written permission. To do so risks the health of your patient and leaves you unprotected in a lawsuit. Your patient's case history and medical condition must be updated every six to eight weeks depending on their type of diabetes. Diabetic patients are extremely prone to infection and inflammation of the tissue. Hodgkin's disease. A patient with Hodgkin's disease, the most common of the lymphatic system cancers, has a challenged immune system. Cortisone is one of the medications prescribed for this disease, which also cause moderate to severe unwanted growth and leaves the tissue exposed to bruising at the slightest touch. Request a letter from their physician stating that electrolysis treatments are appropriate and safe to perform. Hepatitis A, B and C. Hepatitis is a potentially deadly disease which can result in necrosis and cirrhosis of the liver or liver cancer. Avoiding the spread of hepatitis is one of the major reasons for using disposable needles. A hepatitis patient can only be treated with a physician's letter of approval, stating that the patient's hepatitis is not in a contagious stage. If you contract hepatitis not only can you infect your patients, you will be unable to work. There is a vaccine for Hepatitis B of which I have been immunized and electrologists should consider immunization. The vaccine is synthetically made with recombinant RNA/DNA, using no human blood products; therefore you run no risk of contracting AIDS. I strongly suggest immunization against hepatitis B.
Carcinoma. Unless undergoing chemotherapy, cancer patients can be treated immediately. However, those with cancer sometimes display unusually prolific hair on the face and body. If you have ruled out endocrine and genetic complications, stress, and pharmaceutically induced hair growth, think about cancer. Recommend that your patient have a medical evaluation to evaluate excessive hair problems. Never mention cancer because you put your patient's emotional well being at risk. You are not a physician; so remember to use common sense in your approach. Rheumatic fever. This complication requires a mandatory letter from the physician because of the risk of a cardiac infection. Some patients that have had rheumatic fever require prophylactic antibiotics before any medical or dental procedure because of their susceptibility to cardiac infection. Rheumatic fever patients who are anticipating electrolysis treatments should consult their physician for medications or permission from their doctor for electrolysis treatments. Some patients who have mild rheumatic fever require no medications. There is not doubt here cardiac infections kill, a physicians prescription for treatment is also mandatory. Herpes simplex, or herpes cold sores. Naturally, you do not work on an area with an active outbreak of herpes. To do so only inflames the tissue and is painful for the patient. Work around the area, being careful not to pull or touch the inflamed tissue. Only after the patient has fully recovered from the outbreak (there is no scab left from the previous outbreak) can you treat the area. Both oral and genital herpes is a contagious condition when it is in the "prodrome," active or inflamed stages. To better protect yourself legally, obtain a letter from your patient's physician stating herpes is not contagious when in the dormant stage. Hemophilia. Do not treat patients with hemophilia. They are too much of a risk, even with the new medications, which attempt to control blood-clotting capabilities. Allergies. It is very important to remember that a patient might have an allergic reaction to topical ointments used for pre- and post-treatment care.